To add or edit letters, go to Customers >> 2 - Letters and Labels >> . 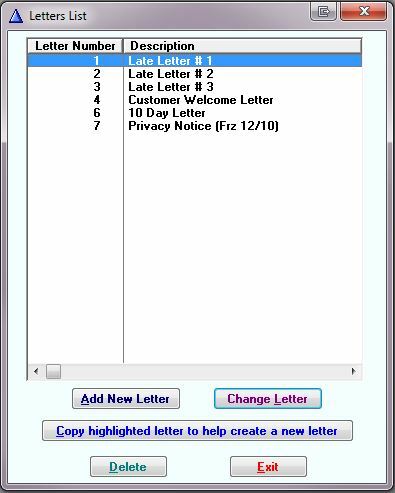 Seven sample letters are included with each Frazer system and are editable. To edit an existing letter, either double right-click the highlighted letter or click on . To create a new letter, click on . To the right of the screen is an area for Category and an area for Item. Highlight the desired category by left-clicking it. A list of items related to that category will appear. Double right-click on the desired item (or click ). 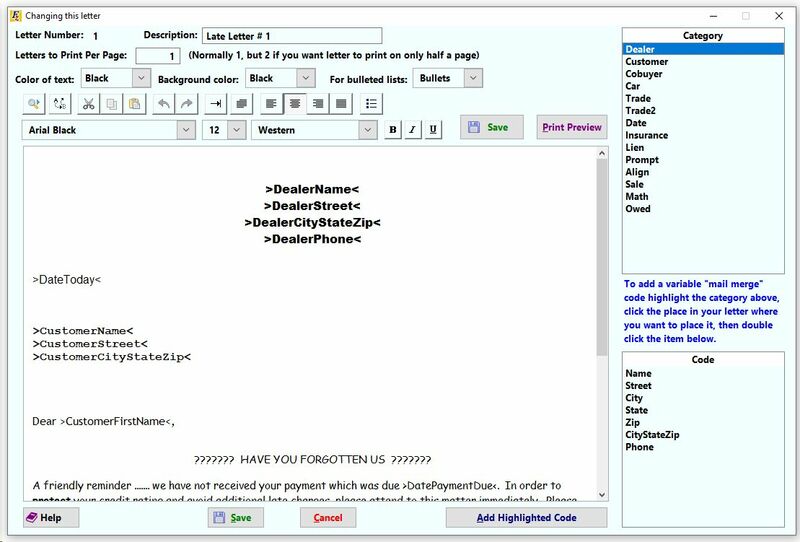 The code for that item will appear in the letter portion of the screen where the cursor was last placed. Any item that has >< around it is a code. For example, >DateToday< is the code to add the current date to the letter so it does not need to be retyped each day. Bold, italicize, or edit the font as normal. For a full list of the codes and more detailed use of them, CLICK HERE.